Robin, I appreciate that you want to make some money out of this (otherwise free) wonderful podcast. I support this by being a subscriber for the paid content. But please try to be a little more selective in the advertising you allow on the site: I was trying to download the latest show on my mobile and kept getting this VERY intrusive trap ad that notes your IP and tries to scam you into clicking their trap buttons (the “lucky winner in ! – please click here to claim your prize!” type). Complete with beeping. One of the sort that you can’t back-button out of, either. I have mentioned the issue with the filenames of the episodes on this site before – there is basically no way I can create a “book” out of all your episodes any more, since they will not sort by episode number any more. But this is more of a minor inconvenience that I can live with. Intrusive ads on mobiles are more upsetting. Don’t take this badly – I am a friend of the site and support what you are trying to do. I am on the record that this is probably the best history podcast out there. That ad sounds very annoying, but at least with the browser extensions Ghostery and Adblock Plus I’ve never gotten a pop-up on this site. Also – I totally feel you on the episode names. I hated the change too. But you can still make it into a “book” with a little effort. In Windows you can right-click – Properties – Details and either rename the title or add a # to the episodes so they can sort properly. Best of luck and cheers to the best history podcast =). Thank you so much Mystikos, I appreciate the kind suggestions. Imp, I am sorry you were stuck with an annoying ad. Can you elaborate on how you were attempting to access the podcast? Was it on a browser through this site? Or was it through an app? The website is run by WordPress and so any ads they use have nothing to do with me. But I am more than happy to complain to them about it! 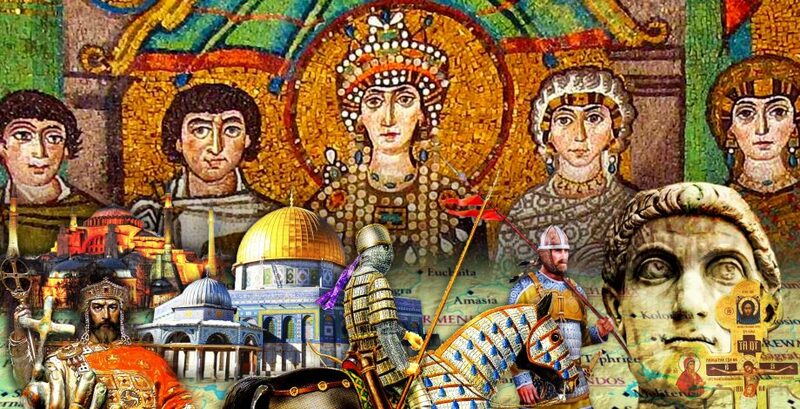 I wrote in episode 137, this era, its military exploits and mentalities of the soldiers are better understood by examining the epic Digenis Akritas and the Akritic Cycle which is centred on the Byzantine-Arab bride. I hope it gets covered.